Oh that remaster train, she keeps on chugging along. Alongside several other games currently getting lifted from old-gen to current-gen, comes news that Rebellion will be porting over their Zombie Army games onto newer consoles. Trailer after the jump. Zombie Army Trilogy will be hitting PlayStation 4 and Xbox One onelater in the year, as well as PC. It’ll include the first two games in the series, as well as a third franchise entry made specifically for the package that includes a zombie horde mode. Which is actually kind of cool. PC owners who happen to have either of the games that are already out, will be eligible to get the trilogy at a discount. If you’ve never played it, then here’s the skinny. 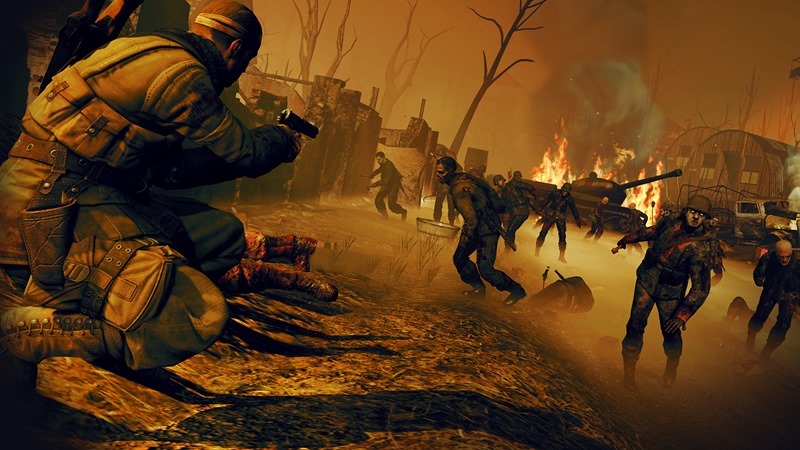 Zombie Army is pretty much Sniper Elite in the undead flesh, but with a quicker pace and a ton more enemies. Plus, you can assassinate Zombie Hitler. It’s actually a pretty decent game, and I have no issues with a trilogy bundle, so bring it on Rebellion. Let me get a taste of that zombie killcam again dammit! There are also other types of enemies in the game besides the usual skull-nibblers, but I won’t ruin the surprise for you.